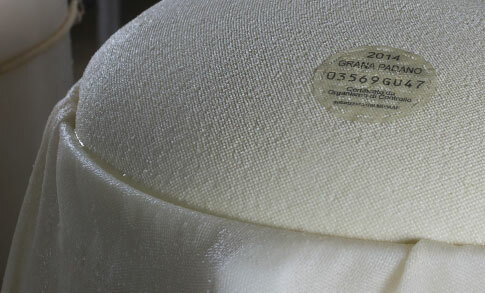 HOW CAN YOU BE SURE IT IS GRANA PADANO? 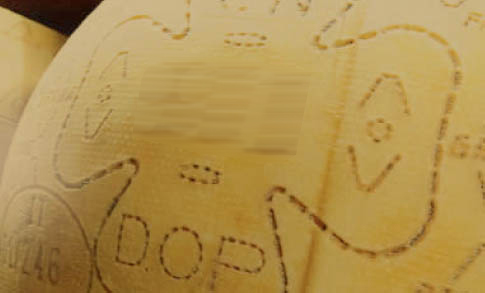 If those marks are not there, then it is not Grana Padano. 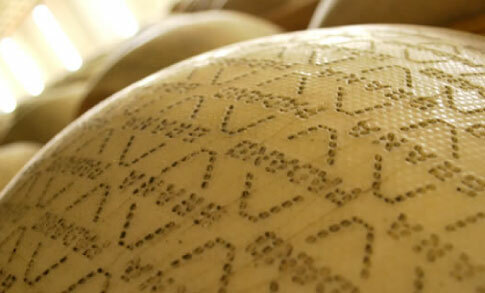 These marks act as Grana Padano’s unique, personal signature: they distinguish it from any other product. 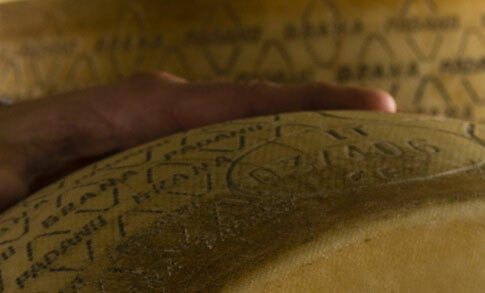 They certify its quality, its origins and its uniqueness as “traditional cheese”. 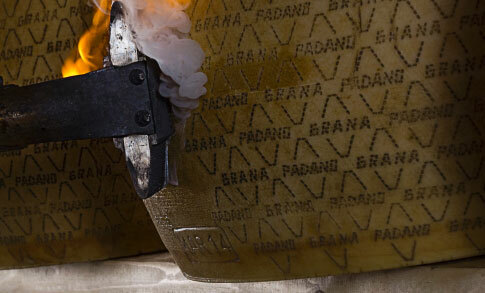 Even when Grana Padano has been portioned to be sold, the PDO branding will be on the packaging, making Grana Padano easily recognisable. 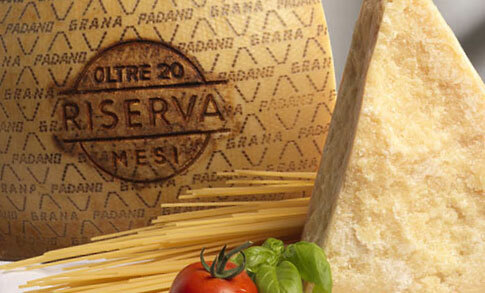 If the PDO branding is not there, it is not Grana Padano. It is imprinted at the "birth" of the wheel, when the curd solidifies in the mold. Imprinted by the "fascera" during the molding process. Having obtained the general fire-branding and ageing for more than 20 months, the wheels may be awarded the name of RISERVA, only after having passed a further quality test.